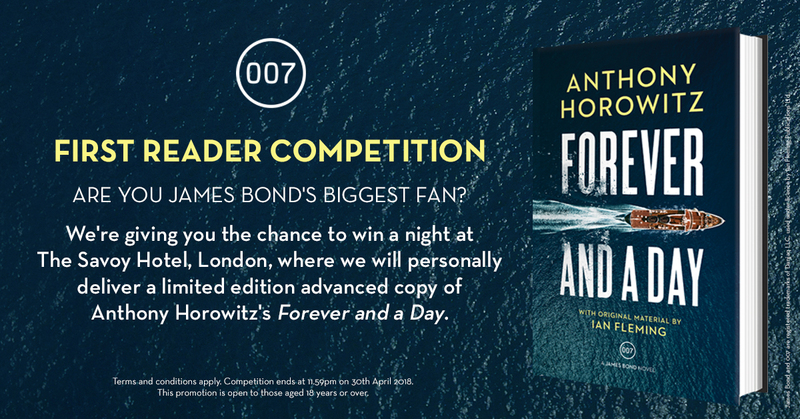 Dead Good has launched a special Forever and a Day competition that will definitely be of interest to Bond fans! Check out details below. We’re giving a lucky 007 fan the chance to be one of the first people in the world to read Forever and a Day, while luxuriating in surroundings enjoyed by both James Bond and his creator Ian Fleming. 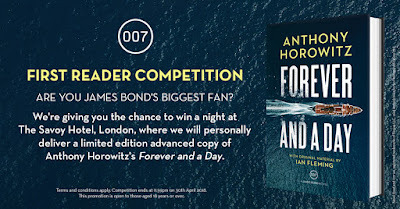 To be in with a chance of winning a night at The Savoy Hotel, London, with a limited edition advanced copy of Forever and a Day and a Martini; simply fill in your details HERE. Good luck! Forever and a Day by Anthony Horowitz is a prequel to Ian Fleming's Casino Royale. It will be released by Jonathan Cape in the UK on May 31 and in the U.S. by Harper Collins on November 6, 2018. You can only enter if you live in the UK.